Not many musicians get to play on the Oscars. I remember the year when Faith was called in to sing for a sick Whitney Houston and even as a manager-in-law, it was thrilling. I have been a Glen Campbell fan since I was a kid and somehow from an island in Panama, I found and quickly fell in love with his Ghost On The Canvas record. I am so proud for Tim in this moment. 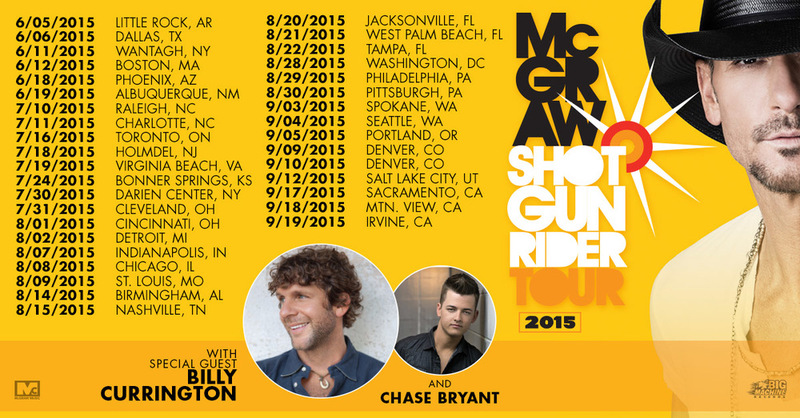 Announcing the 2015 ‪#‎ShotgunRiderTour‬ with special guests Billy Currington and Chase Bryant! Stay tuned for ticket information coming soon at http://timmcgraw.com/tour and share to spread the word!